SR14 Day 7: Marathon last push for Davina! 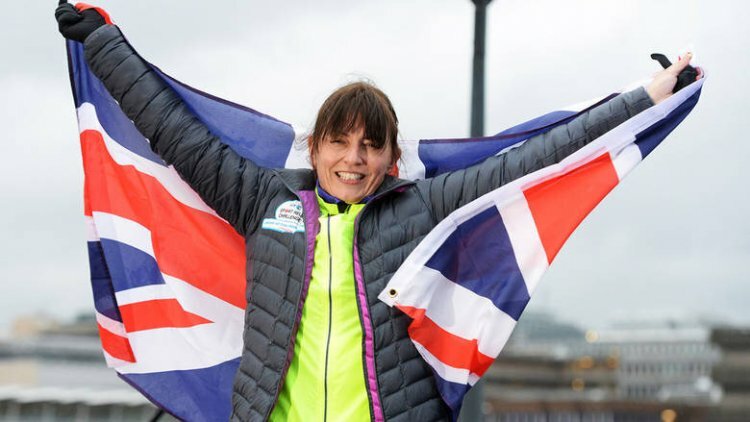 Davina faces the final stretch as she continues on day seven of The BT Sport Relief Challenge: Davina – Beyond Breaking Point, a seven day ordeal which will see her attempt to run, swim and cycle from Edinburgh to London. Today Davina’s sliding off the saddle and into her stride as she attempts to run a full marathon into London to complete her epic challenge this afternoon. With six exhausting days behind her that saw her battered by freezing winds, rain and snow, not to mention the punishing Lake Windermere, Davina’s going to have to use every last ounce of energy to get to the finish line later today. Davina made her way through areas deluged by some of the worst flooding seen in years on yesterday’s journey from Birmingham to Windsor. Comic Relief can today announce that some of the money raised through Sport Relief will be made available to help the poorest and most vulnerable people without the means to repair their homes and replace essential items to get back on their feet. Davina set off on the BT Sport Relief Challenge: Davina – Beyond Breaking Point from Edinburgh Castle on Saturday 8 th February, tackling a punishing 130 mile cycle on day one alone – equivalent to some of the longest stages on the Tour De France. Over the following six days she has battled brutal conditions including swimming the life-threateningly cold Lake Windermere, scaling the colossal Scafell Pike on foot in freezing snow, and today hopes to finish after seven tortuous days by running a full marathon into London.